The On Sale Bar, set forth in 35 U.S.C. §102 of the Patent Statute provides that “[a] person shall be entitled to a patent unless – (1) the claimed invention was patented, described in a printed publication, or in public use, on sale, or otherwise available to the public before the effective filing date of the claimed invention”. There is an exception to the On Sale bar for inventors. The exception states “[a] disclosure made 1 year or less before the effective filing date of the claimed invention shall not be prior art to the claimed invention under subsection (a)(1) if – (A) the disclosure was made by the inventor or joint inventor or by another who obtained the subject matter disclosed directly or indirectly from the inventor or a joint inventor”. Thus, 35 U.S.C. §102 prohibits a patent to an invention that was offered for sale or sold more than one year before (the critical date) the application for the patent was filed. The earliest date of an offer for sale or the sale of an invention is the “critical date”, and an application for a patent on the invention must be filed within one year of the “critical date” or a patent for the invention will be barred. However, consider the situation of an inventor that is paid by someone to design and build a specialized device that could potentially be patentable. Does the payment or an offer of payment to the inventor to design and build the specialized device establish a “critical date”. Also, if it takes the inventor more than one year from the payment date to design and build the specialized device, is the inventor then barred from obtaining a patent for the specialized device under the on sale bar? This question was answered by the U.S. Supreme Court in Pfaff v. Wells Electronics, Inc., 525 U.S. 55 (1998). In Pfaff v. Wells, the Court noted that under §102(b) of the Patent Act, no one can patent an “invention” that has been “on sale” more than one year before filing a patent application. In early 1981, Pfaff designed a new computer chip socket and sent detailed engineering drawings of the socket to a manufacturer. He also showed a sketch of his concept to representatives of Texas Instruments, which placed an order for the new sockets prior to April 8, 1981. In accord with his normal practice, Pfaff did not make and test a prototype before offering to sell the socket in commercial quantities. Pfaff filled the Texas Instruments order in July, 1981, and thus the evidence indicated that he first reduced his invention to practice that summer. Pfaff applied for a patent on April 19, 1982, making April 19, 1981 the “critical date” for a §102(b) On Sale Bar. After the patent issued, Pfaff brought suit against Wells, alleging that a modified version of Wells computer chip socket infringed six of his patent claims. The District Court in which suit was filed held, among other things, that three of the claims of the Pfaff patent weren’t infringed. The District Court also rejected a defense raised by Wells under the §102(b) on-sale bar, finding that Pfaff filed the patent application less than a year after reducing the invention to practice. In an appeal of the District Court decision filed by Wells, the Court of Appeals concluded, among other things, that the §102(b) one year period began to run when the invention was “substantially complete” and was offered for sale commercially, and Texas Instruments placed an order for the new sockets prior to April 8, 1981. The §102(b) one year period did not begin to run when the invention was reduced to practice, as believed by Pfaff. The Court of Appeals reversed the District Court, finding all six claims of the Pfaff patent invalid. Four of the patent claims described the socket that Pfaff had sold to Texas Instruments prior to April 8, 1981. Because that socket had been offered for sale on a commercial basis more than one year before the patent application was filed on April 19, 1982, the Court of Appeals concluded that those claims were invalid under the §102(b) on-sale bar. That conclusion rested on the Court’s view that as long as the invention was “substantially complete at the time of sale” the one year period began to run, even though the invention had not yet been reduced to practice. 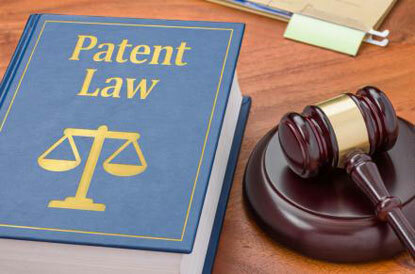 In its opinion, the Supreme Court noted that the primary meaning of “invention” in the Patent Act unquestionably refers to the inventor’s conception rather than to a physical embodiment of that idea. The statute does not contain any express requirement that an invention be reduced to practice before it can be patented, and it is well settled that an invention may be patented before it is reduced to practice (citing The Telephone Cases 126 U.S. 1, 535-536, in which the Court upheld a patent issued to Alexander Graham Bell even though he had filed his patent application before constructing a working telephone). Applying the reasoning of The Telephone Cases to the facts of this case, it is evident that Pfaff could have obtained a patent on his novel socket when he accepted the purchase order from Texas Instruments. At that time he provided the manufacturer with a description and drawings that had “sufficient clearness and precision to enable those skilled in the matter” to produce the device. The Court then concluded that the On Sale Bar applies when two conditions are satisfied before the critical date. First, the product must be the subject of a commercial offer of sale. In this case, the acceptance of the purchase order prior to April 8, 1981, makes it clear that such an offer had been made, and there is no question that the sale was commercial. Second, the invention must be ready for patenting. That condition may be satisfied in at least two ways: by proof of reduction to practice before the critical date; or by proof prior to the critical date the inventor had prepared drawings or other descriptions of the invention that were sufficiently specific to enable a person skilled in the art to practice the invention. In this case, the second condition of the On Sale Bar was satisfied because the drawings Pfaff sent to the manufacturer before the critical date fully disclosed the invention. When Pfaff accepted the purchase order for his new sockets prior to April 8, 1982, his invention was ready for patenting. The fact that the manufacturer was able to produce the socket using his detailed drawings and specifications demonstrates this fact. The sockets disclosed in the detailed drawings and specifications contained all of the elements of the invention claimed in the Pfaff patent. Therefore, the Pfaff patent is invalid because the invention had been on sale for more than one year before he filed his patent application. The decision of the Court of Appeals invalidating the Pfaff patent was therefore affirmed. The decision in Pfaff v. Wells is still good law today, having recently been cited in the Federal Circuit’s January 18, 2018 Helsinn Healthcare S.A. v. TEVA Pharmaceuticals USA, Inc. (Fed. Cir. 2017). Thus, if an inventor is paid or is offered to be paid to design and build a device, when the design of the device has progressed to the point that the device is “substantially complete” and is ready for patenting, the inventor must file a patent application for the device within one year of the date that the device is ready for patenting to avoid an on-sale bar.